From punishment to proposal! Joaquin Del Castillo is as proud as his Latino heritage, and he instantly acts to right the wrong done to his elderly, loyal employee. He plans to lure Lucy Paez – the viper that owes money to his employee – to Guatemala, and here she will stay until she repays her debt! But something about Joaquin's captive doesn’t quite add up. On the surface, Lucy appears to be a glamorous gold digger, but underneath she is deliciously innocent and soon his contempt for her is rivalled only by his blazing desire. 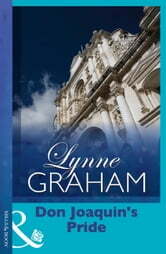 But Joaquin's pride has unleashed consequences he never expected; marriage to secure his legacy!